Jefferson is a patronymic surname meaning "son of Jeffrey, Jeffers, or Jeff." Jeffrey is a variant of Geoffrey, meaning "peaceful place," from gawia, meaning "territory" and frid, meaning "peace." Geoffrey is also a possible variant of the Norman personal name Godfrey, meaning "God's peace" or "peaceful ruler." Where in the World is the JEFFERSON Surname Found? The Jefferson surname is most prevalent in the United States, where it ranks as the 662nd most common surname in the nation, according to surname distribution data from Forebears. It is most common in the Cayman Islands, where it ranks 133rd, and is also fairly common in England, Haiti, Brazil, Northern Ireland, Jamaica, Grenada, Bermuda and the British Virgin Islands. According to WorldNames PublicProfiler, the Jefferson surname is most popular in the United States, especially in the District of Columbia, followed by the states of Mississippi, Louisiana, Delaware, South Carolina, Virginia and Arkansas. Within the United Kingdom, Jefferson is found primarily in Northern England and the southern border regions of Scotland, with the greatest numbers living in the Redcar and Cleveland district where the surname originated, and in surrounding counties such as North Yorkshire, Durham, Cumbria, and Northumberland in England, and Dumfries and Galloway, Scotland. A group of people who've tested their Y-DNA through Family Tree DNA in an effort to use DNA plus traditional genealogical research to match up various Jefferson lineages. A discussion of the ancestry of U.S. President Thomas Jefferson, from the website of his family home, Monticello. A discussion of the DNA evidence that supports the theory that Thomas Jefferson fathered at least one of Sally Hemings's children, and quite probably all six. Contrary to what you may hear, there is no such thing as a Jefferson family crest or coat of arms for the Jefferson surname. Coats of arms are granted to individuals, not families, and may rightfully be used only by the uninterrupted male line descendants of the person to whom the coat of arms was originally granted. Search the archives for posts about Jefferson ancestors, or post your own Jefferson query. Explore over 600,000 historical records and lineage-linked family trees posted for the Jefferson surname and its variations on the free FamilySearch website, hosted by the Church of Jesus Christ of Latter-day Saints. 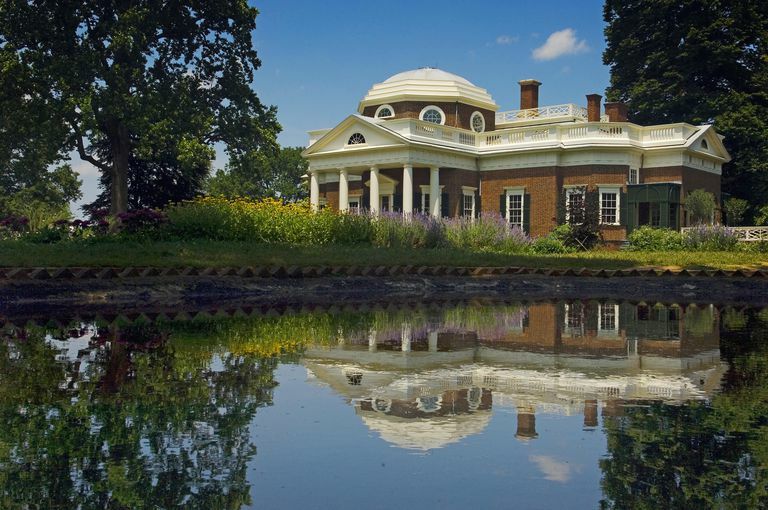 RootsWeb hosts several free mailing lists for researchers of the Jefferson surname. Explore free databases and genealogy links for the last name Jefferson. Browse genealogy records and links to genealogical and historical records for individuals with the popular last name Jefferson from the website of Genealogy Today.